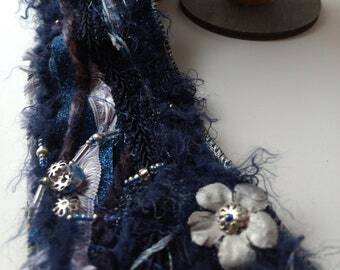 Handmade Ribbon is 1" wide x 39" long (1 meter). 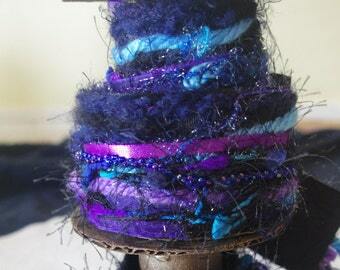 Beautifully handmade fiber art ribbon "Rose Gold" with specialty yarns, ribbons, trims, beads and more! Color combination of Burgundy and Pinks along with Rose Gold Accents. Pink faux pearls down the center adorn the ribbon. 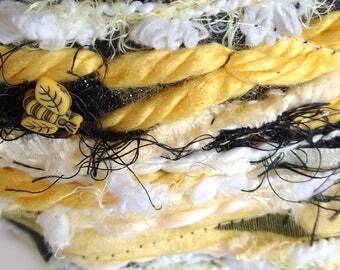 All fibers are sewn by machine onto a 1" wide cream ribbon and than I hand sew embellishments. 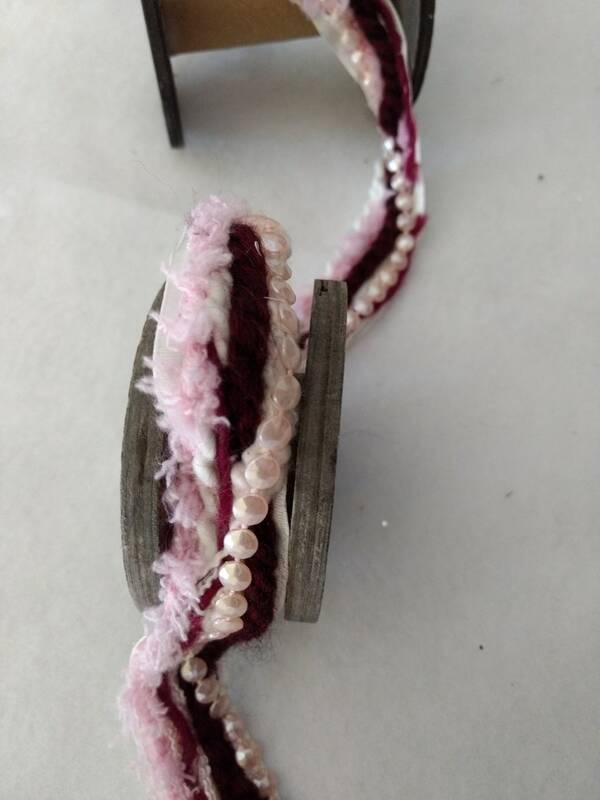 Our handmade ribbon can be used for all of your journal making, altered clothing designs and costume designs for that added texture to your garment or accessory. 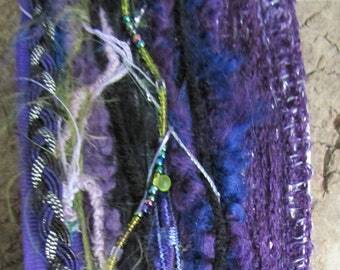 If you are custom ordering a color or requiring more than one yard please contact owner first. Note: Ribbon should be spot washed with a damp cloth. We want the buyer to be completely satisfied with each purchase. Color does not always show on the computer as it does in real life. No two yards are identical: if you need more than one yard for your project, just let me know and I will try to accommodate what you need.